The bad news just keeps building on the sagging shoulders of the mullahs in Tehran as economic body blows continue to rain down as U.S. economic sanctions are resetting global commerce and finance around the embattled religious tyranny. While the U.S. has rolled out economic sanctions in waves in response to its pullout from the Iran nuclear deal, the hammer of sanctions on Iran’s oil industry are being felt as petroleum markets are becoming roiled at the expected shortfall and impact of secondary U.S. sanctions on any country or company trading in Iranian oil. 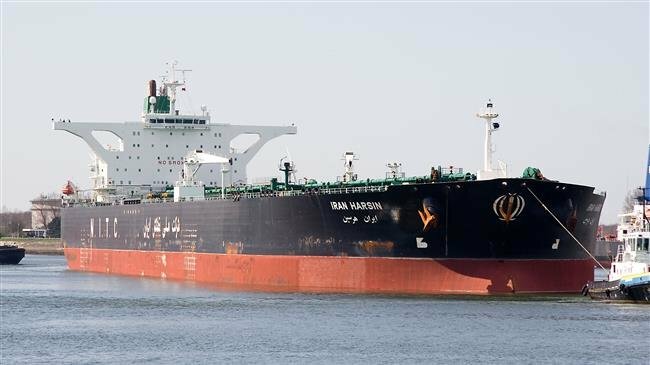 Iran’s crude oil exports plunged to 1.1 million bpd in the first seven days of October, sliding further down from 1.6 million bpd in September as sanctions loom just four weeks away, Reuters reported on Monday, citing tanker tracking data and an industry source tracking shipments. According to Refinitiv Eikon tanker tracking data quoted by Reuters, not a single Iranian-flagged tanker headed to Europe in the first seven days of October, but Iran’s tankers were bound for China, India, and the Middle East in the first week this month, according to the data. Oddly enough, according to S&P Global Platts trade flow data, a dozen Iranian oil tankers may have shut off their position devices last month. Nearly 207,000 bpd of Iran’s oil exports that left Iranian oil terminals last month is reportedly unaccounted for, because of switched-off transponders as the regime seems to be reverting to black market tactics to smuggle its oil out. But those tactics are less likely to aid the Iranian people and more likely to generate illicit profits to continue lining the pockets of the mullahs and their families. The move to smuggle oil in advance of sanctions comes as the Tehran Stick Exchange suffered heavy losses recently. The market however, posted its fourth straight decline–and one of its biggest in recent history– on Sunday, with the benchmark TEDPIX index ending the day 4.16% lower, taking the market below the 180,000 level it had boasted just days ago. Head of the Securities and Exchange Organization, Shapour Mohammad offered his take on the reasons behind the market’s rout, saying that crowd behavior, manifested in the irrational thinking of some investors carries the blame. The uncertainty in Iran’s financial markets mirrored the wild devaluation of Iran’s currency and the concerns of Iranian business owners and workers as they see the regime continue to spend scarcer cash reserves in fueling its wars in Syria and Yemen, including launching missile barrages in Syria in retaliation for recent attacks at a military parade. The growing lack of cash reserves has the mullahs casting about wildly for money left under some errant stone. This included a claim by the Iranian regime to try and recover $1.75 billion in national bank assets seized by U.S. courts. The U.S. on Monday asked judges at the International Court of Justice to throw out the claim by Iran. The U.S. Supreme Court ruled in 2016 that the assets must be turned over to American families of victims of the 1983 bombing of a U.S. Marine Corps barracks in Beirut, among others who were killed in Iranian-planned terrorist attacks. “The actions at the root of this case center on Iran’s support for international terrorism,” Richard Visek, legal adviser to the U.S. Department of State, said on Monday, calling on the court to reject Iran’s suit. Meanwhile, the European Union continued its quixotic campaign to try and throw an economic lifeline to Iran. Last month, Brussels provided Tehran with billions of dollars worth of aid to help offset the impact of US sanctions. The bloc agreed to establish an alternative payment system between European and Iranian banks that is designed to skirt the U.S. financial system entirely. Patrick Pouyanné, the chairman of the French oil giant Total, told a conference last week in Moscow that even the hint of seeing their assets frozen in a U.S. bank would be too high a price. To be blunt, it would be downright suicidal for companies to take on the U.S. when the benefits of doing so — maintaining trade with Tehran — is a drop in the barrel compared to what the American market provides, according to The Spectator. Sanctions experts have concluded that Brussels is essentially banging its head against the wall, hoping that their sheer persistence will force the Trump administration into backing down or finding some type of compromise arrangement. But unfortunately for them, businesses will do what’s best for their balance sheets, not what’s convenient for European politicians, wrote Daniel R. DePetris in The Spectator. In an example of how much pressure the Iran regime is under came in the form of the Iranian parliament’s passage of new measures allegedly designed to halt funding terrorism and move Tehran closer to global norms and standards in the fight against terror. Tehran says it has been trying to implement international standards against money laundering and the funding of terrorism set by the Financial Action Task Force (FATF), but it has struggled to get the measures passed, according to Reuters. Its parliament has opposed legislation aimed at moving toward compliance with FATF standards, arguing it could hamper Iranian financial support for allies such as Lebanon’s Hezbollah, which the U.S. has classified as a terrorist organization. The fact that the Iranian regime is even willing to contemplate such a façade is proof how desperate it is to regain some kind of legitimate status on the global stage. While it’s highly doubtful the regime would ever truly implement any of these anti-terrorism reforms, the mere debate on them shows far the mullahs have been backed into a corner.